Here’s a selection of some great kid’s books that have been released to celebrate Father’s Day. 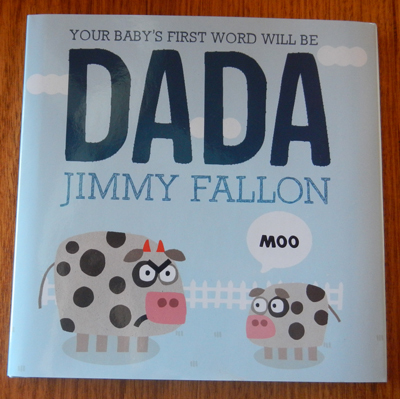 Every father wants his child’s first word to be ‘daddy’ (or ‘dada’ in this case) and Jimmy Fallon, popular host of The Tonight Show, has turned this concept into a cute yet simple picture story book for children. Each page spread features a farm yard animal father trying to convince their baby to say the word ‘Dada’, but the children just don’t want to cooperate, instead making the sound that comes naturally to them. Children will love the facial expressions on the fathers (which range from sad and confused, to frustrated and angry) and the obliviousness of the babies. This is a fun book for very young children to share with their fathers, and they’ll get the chance to learn about different animal sounds at the same time! 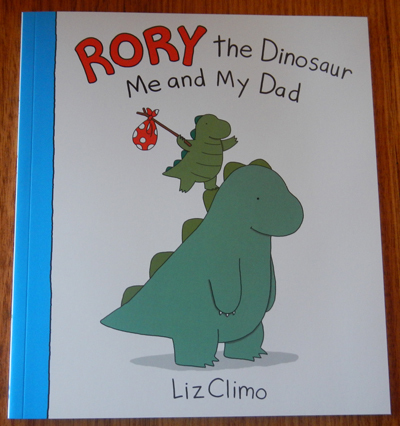 This book, featuring adorable illustrations from artist Liz Climo, is all about a young dinosaur’s ‘solo’ adventure while his dad has a well-deserved break. But what Rory the Dinosaur doesn’t realise is that his dad is there the whole time, making his journey easier and forgoing his own down-time to make sure his baby boy is safe and well. At the end of his trip, Rory realises that having an adventure on your own isn’t as fun as sharing it with someone else, and rushes back to tell his dad all about his voyage. The illustrations in this book are very cute, and Rory’s problems (and his father’s solutions) will be appreciated by both children and parents alike. 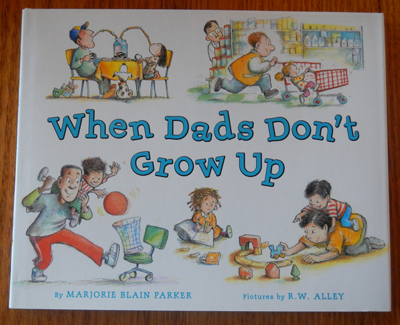 This book is a celebration of all dads who are still young at heart. It’s an ode to dads who, by outward appearances, look like respectable and serious adults, but in reality love nothing more than to get down and be silly with their kids. It’s for dads who enjoy the playground, love racing grocery trolleys, enjoy watching cartoons, and make pancakes in funny shapes. It’s for dads who don’t wear matching clothes, who like to pop bubble wrap and who drink milk from a straw (just because it tastes better that way). The main point of this story? Kids that have a playful, fun dad are lucky- although they may be embarrassed by this behaviour when they’re older, at least they can fully appreciate it as children.